How to creat a cryptocurrency wallet? 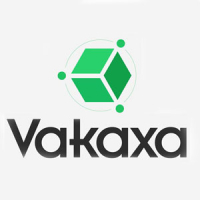 Vakaxa specializes in the development of cryptocurrency wallets that support the management of digital assets. We are known as a pioneer in the field of cryptocurrency wallet in Viet Nam. As a leading company in the field of cryptocurrency wallet development, we adhere to all the security standards to develop a secure cryptocurrency wallet. Notification: To get alerts on transactions and when the price of cryptocurrencies change. Favorable session logout: A security measure that automatically logs out the user from their account. Conversion rates: To instantly view the updated cryptocurrency value. Merchant services: To join as a merchant and to browse other cryptocurrency merchants. A quicker way to complete transactions. A safer way to store crypto for long-term. Better security for all other wallets. Nice project/ideas, but will all users take all this steps in order to protect their accounts?